Member Night invitations are sent to our most active members. Be sure to score shows on Show-Score to qualify. If you know you are qualified, and still not receiving invites, check your email preferences on Show-Score. Click on the drop down arrow at the right of your profile picture then select “Edit Emails”. Make sure that ‘FREE Member Night Ticket Offers’ are turned on. and set to "Individual Email". 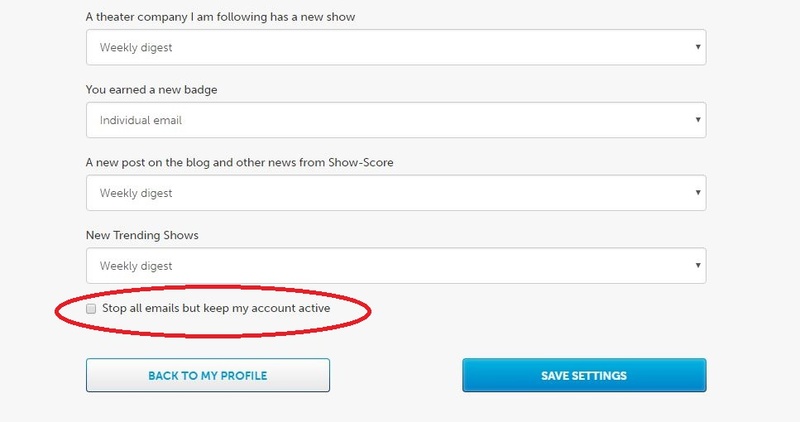 Scroll to the very bottom of the page, make sure that “Stop all emails but keep my account active” is UNCHECKED. Remember to save your settings! If you have further questions, please email us at membernights@show-score.